LOS ANGELES–(BUSINESS WIRE)–Peatos™, a new World Peas™ Brand product by Snack it Forward, announced today its launch in the produce section of Safeway stores in Northern California, effective Memorial Day. Safeway Inc. is one of 20 well-known banners under Albertsons Companies, one of the largest food and drug retailers in the United States, with both a strong local presence and national scale. Just in time for #MemorialDay, we’re finally in the produce sections of @Safeway stores in #NorthernCA! Peatos is experiencing explosive growth and rapid distribution gains, thanks to its mission to help a vast majority of Americans eat better and not just the few that shop in the high-end natural channel. Another differentiator for the brand is their placement in stores. As a plant-based protein snack, Peatos can be found in the produce aisle. 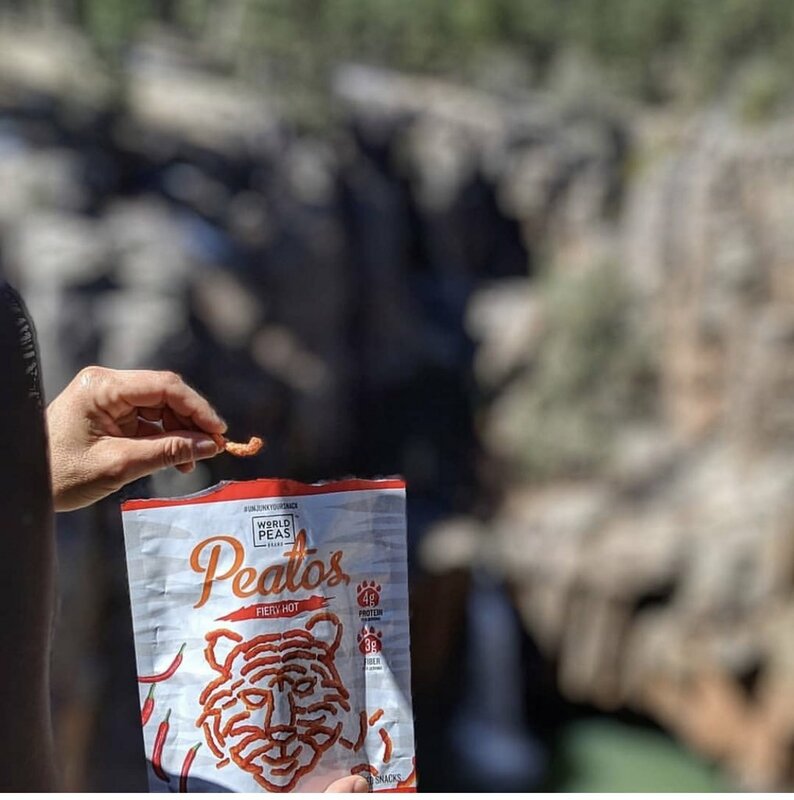 Peatos, one of the most innovative snacks to hit the market in decades, has two times the protein (4 grams) and three times the fiber (3 grams) of Cheetos® per serving and boasts clean, non-GMO ingredients with no artificial flavors, no synthetic colors and no added MSG. Striking flavors include Classic Cheese, Fiery Hot, Chili Cheese, and Masala. In addition to Safeway, Peatos is currently, or will soon be, available in the produce section at Kroger and its banner stores including Cala Foods, City Markets, Copps, Dillons, FoodsCo, Fred Meyer Stores, Fry’s, King Soopers, Mariano’s Fresh Market, Metro Market, Pick ‘n Save, QFC, Ralphs, Food 4 Less, and Smith’s, as well as Vons, Pavilions, Albertsons and online on Amazon. Peatos is targeting a retail price of $2.99 for 3 oz. stand-up pouches and $1.29 for 1 oz. single-serve bags. Snack it Forward creates great tasting real fruit and vegetable snacks through a portfolio of brands which includes World Peas™ and Sunkist® Snacks. Peatos™ by World Peas is revolutionizing snacking by creating better-for-you “junk food.” Peatos are a pulse-based crunchy puffed snack that deliver the bold flavor and big crunch snacking experience we all crave, but without empty-calories. With 4 grams of plant-based protein and 3 grams of fiber per serving, Peatos aims to Unjunk Your Snack. Learn more at worldpeasbrand.com and find us on Facebook.com/worldpeasbrand and on Twitter and Instagram @worldpeaspeatos.